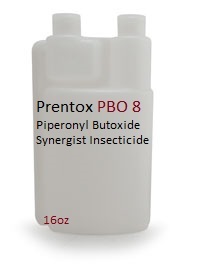 PBO 8 pesticide synergist should be added to the pyrethins you are using like permethrin and synthetic pyrethroids to supercharge the effectiveness of these popular pesticides. 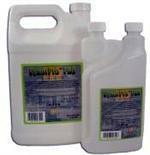 And a little goes a LONG way in fact, One quart of PBO 8 should be mixed with water and pyrethrins to make 55 GALLONS! 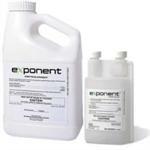 Piperonyl Butoxide will have ideal results when you apply it using a fogging machine. 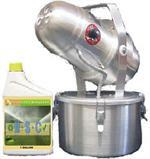 PBO 8 is a powerful synergist but by itself does not have insecticidal properties and should not be used alone.